dotNet Protector (bit x64) is a powerful .NET code protection system. By buying dotNet Protector, you invest for the long term. No upgrade fees from 5.x to 5.y! Download is anonymous and e-mail support is free for everyone (registered users get higher priority). In demo mode you'll be able to explore all features. The demo never expires, only protected assemblies expire after 5 days. 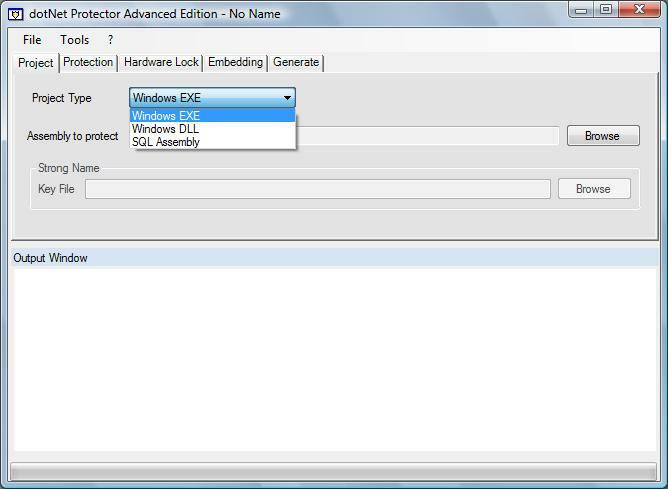 This allows you to calmly prepare your assemblies for dotNet Protector. Qweas is providing links to dotNet Protector (bit x64) 5.5 as a courtesy, and makes no representations regarding dotNet Protector (bit x64) or any other applications or any information related thereto. Any questions, complaints or claims regarding this application dotNet Protector (bit x64) 5.5 must be directed to the appropriate software vendor. You may click the publisher link of dotNet Protector (bit x64) on the top of this page to get more details about the vendor.